Sewing for Fun and a Bit of Profit! After I ship off my boxes of Little Dresses for Africa, I have to get to work on making items to sell at the Christmas Fair. The project, this week, was designing something new (at least for me!) in small tote bags. Interesting how I got the idea for the flowers. When I cut the Little Dresses for Africa, you have to cut out the arm holes. Well, the cut piece, when opened up, resembled a petal. Not thinking too much about it at the time, I decided to save the cut out pieces for later consideration. Then I had the idea to sew two together, turn them right side out, and instant petal. 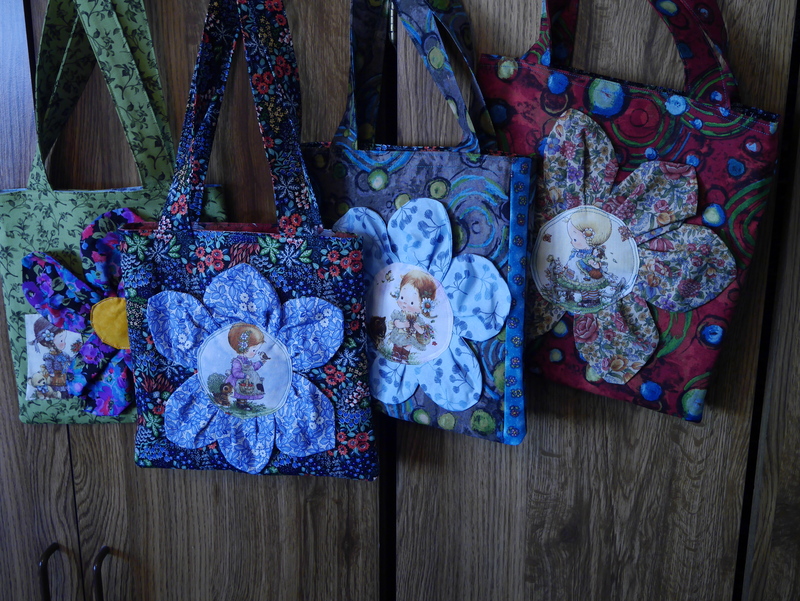 I gathered them a bit at the ‘stem’, pinned them on a tote bag, added a center and an almost instant floral tote bag. 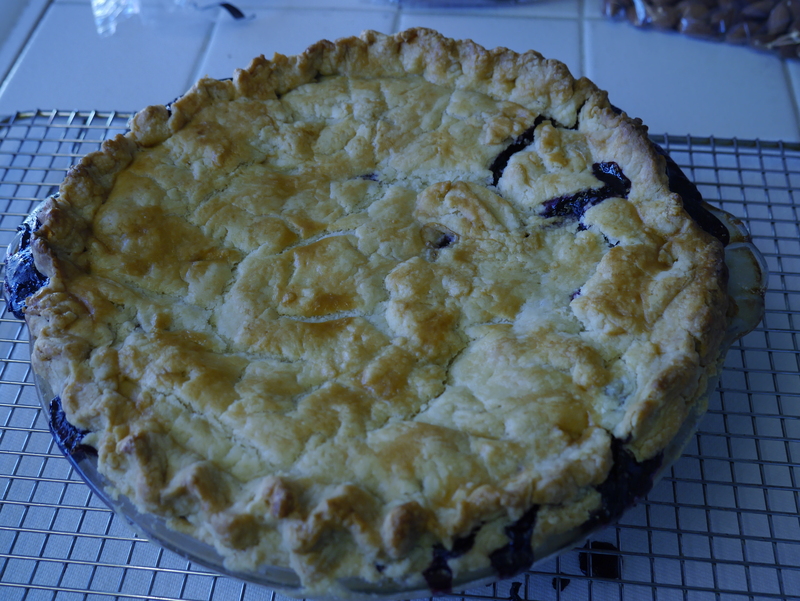 Blueberry Pie and Not Baked by Me! My almost-22 year old son discovered the best way to get something he likes for dessert is to research and plan and bake . 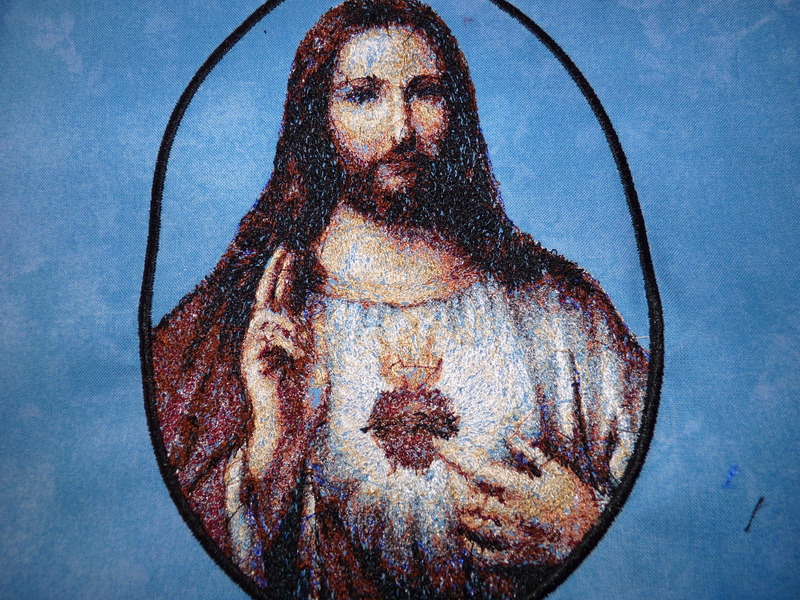 . . which he did, today. This is his first blueberry pie. I’m envious as his came out better than any of my past attempts. 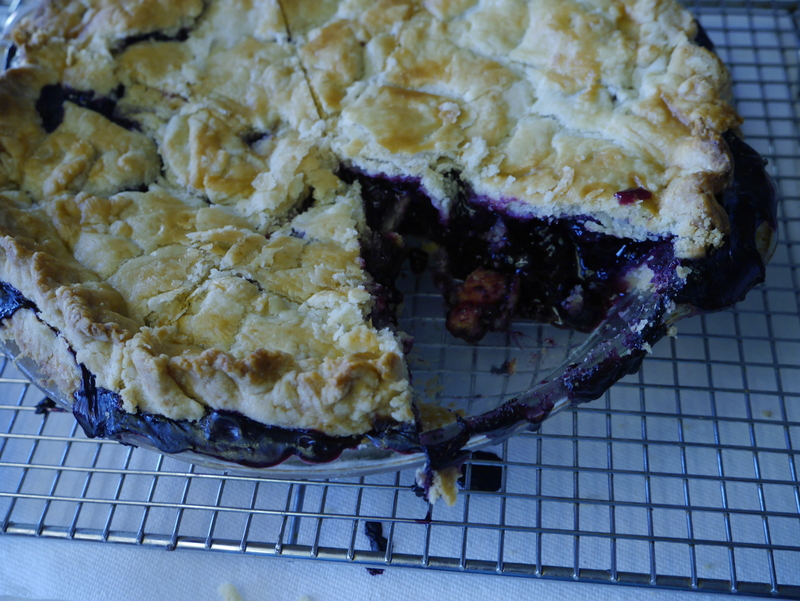 He told me to not set a place for dinner as he plans to eat pie for dinner the minute it is cooled down enough. 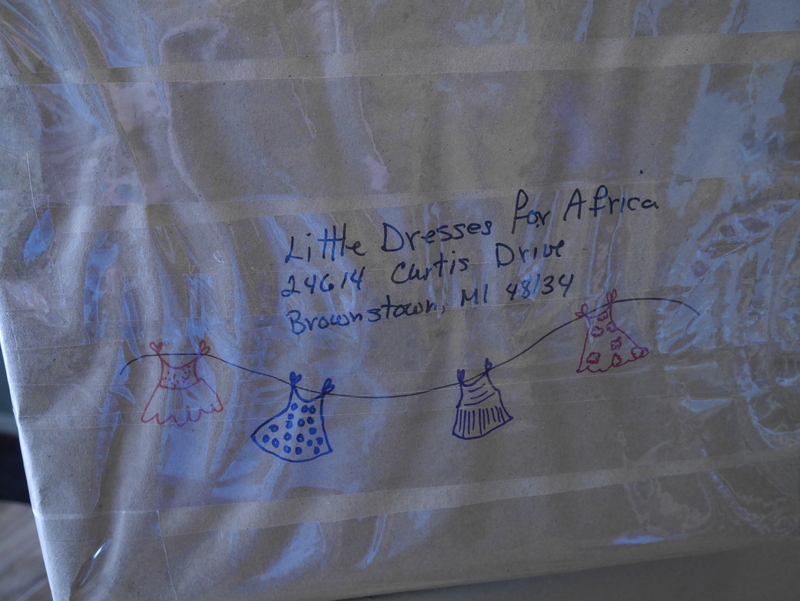 Little Dresses for Africa – Ready for the Mail! 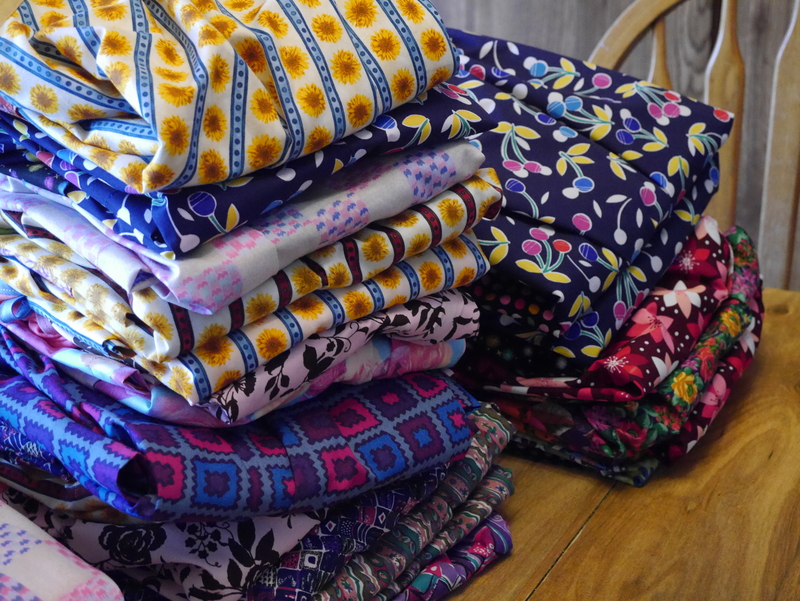 So far, I’ve made (including this pictured shipment), 86 dresses for Africa. I have to say it has been a lot of fun using up yard pieces of fabric and planning colors for the pockets and purchasing matching tee shirts. 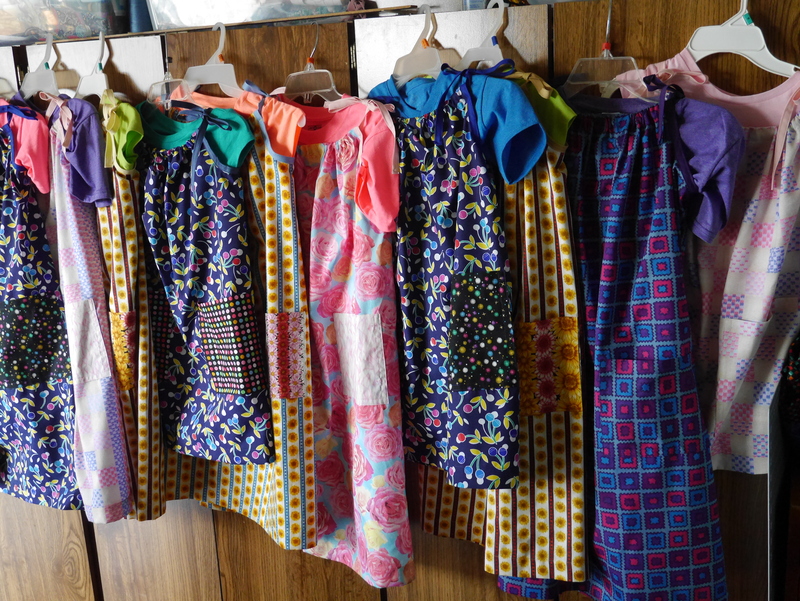 Anyone who like to sew, might consider donating a sewing day a month to making these dresses for little girls in Africa. 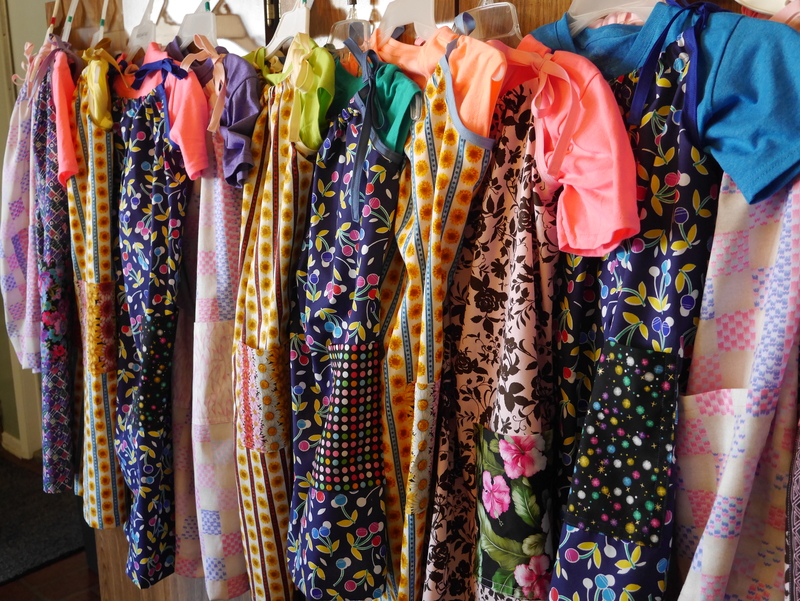 One of your dresses might be the first new dress some little girl has ever owned! Just Google search Little Dresses for Africa for directions/information. I was about to fall asleep the other night when a childhood memory came pouring into my mind about the night prayers I used to say with my mother before bed each night. I hadn’t thought about it in ages and, word for word, just about all the words were in my mind. 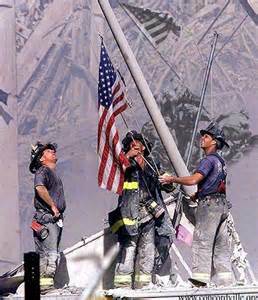 Peaceful, happy memory!